This design just kind of came out in one fell swoop. One pass and I felt really good about it. I am sure she can be improved but I just love her. It really has been some time that I've concentrated on my own work. It feels great. Inspiring even. There are two people I want to mention, (don't know them personally) Ty Carter and Kyle of Kyle's Brushes fame. So first, you can fine them both on Gumroad. If you are a digital artist, you need to check out Gumroad. I have been going nuts using all kinds of Photoshop brushes. There are so many good sets put out by other artists. I found myself getting lost in them. In an effort to get more consistent with my approach. I settled in Kyle's Ultimate Megapack for Photoshop. You cannot go wrong with these. It was working ion this piece that I started whittling down the Megapack. I still have more to cut. I want to get to the point where I have about 10 to 15 brushes as my go-to set. Now onto to Ty Carter, a super talented Viz Dev Artist who has done a lot great work for Blue Sky Studios (Epic, Peanuts, Ice Age and more). His tutorials on color and digital painting are awesome. It really helped me with my color. Highly recommend them. Can't say enough. Here's the link to his site and his Gumroad page. 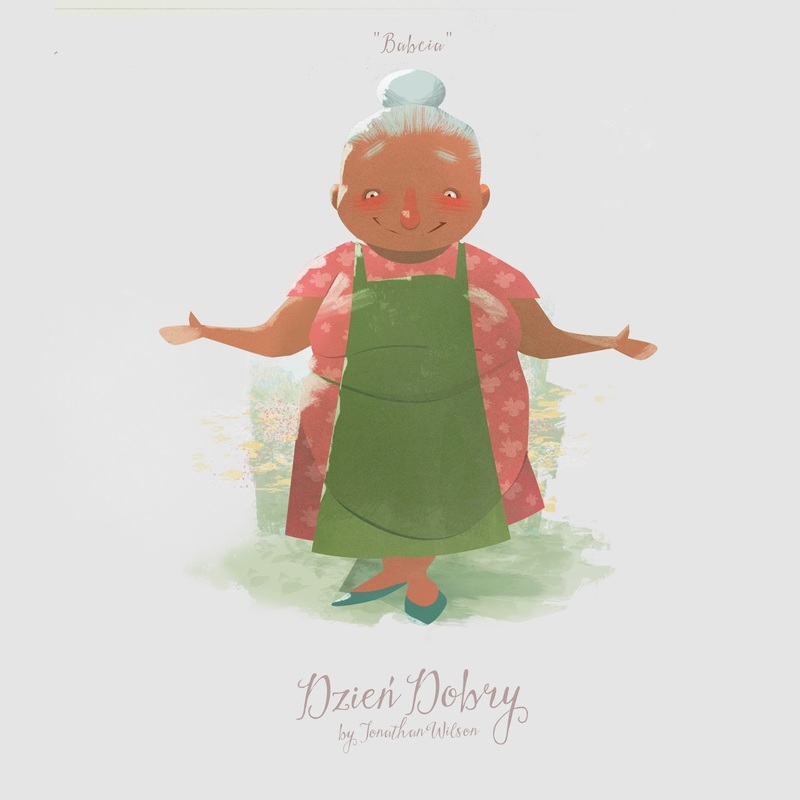 4 comments on "Character Design: Babcia | Dzień Dobry"
Love it! Feel the warm from the character.